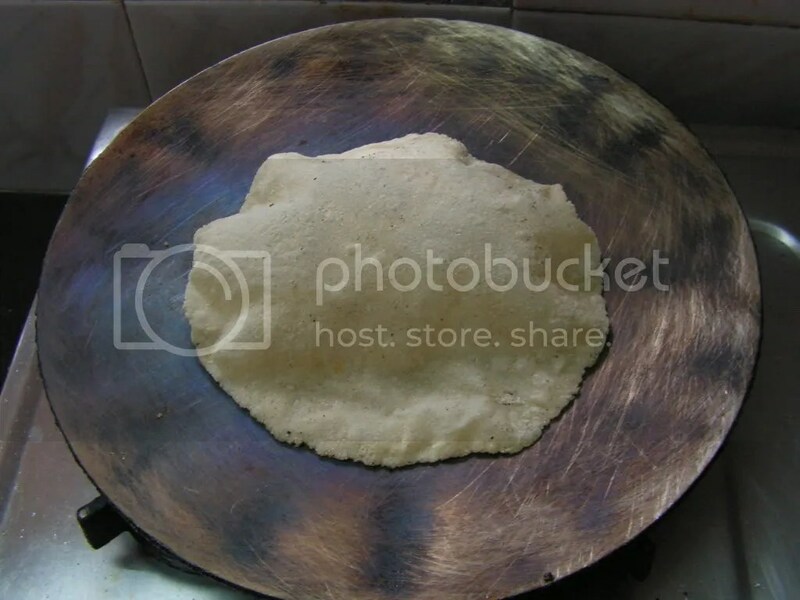 Rotis are prepared by different flours – rice atta roti (Akki roti), Maize roti, Bajra roti, Missa roti, and so on. Previously, rottis used to be the staple food of so many states in india. But now times have changed and people run short of time to prepare it. So now chapathis which are less time consuming have replaced them in several familes. Preparing patted jwari rotti is indeed time consuming and one needs a couple of attempts before getting it right. Here I would like to put up the easiest way of preparing Jwari rotis. I borrowed this recipe from my Mother-in-law. This method is not time consuming and the rotis are in fact rolled like Chapathis rather than patted with one’s hands. 1. Sieve jwari atta & wheat atta with the fine atta siever. 2. Place wide, thick bottomed bowl on the flame with a cup of water and salt in it. 3. When it boils add 1 cup of sieved Jwari atta to it gradually bring to low flame. 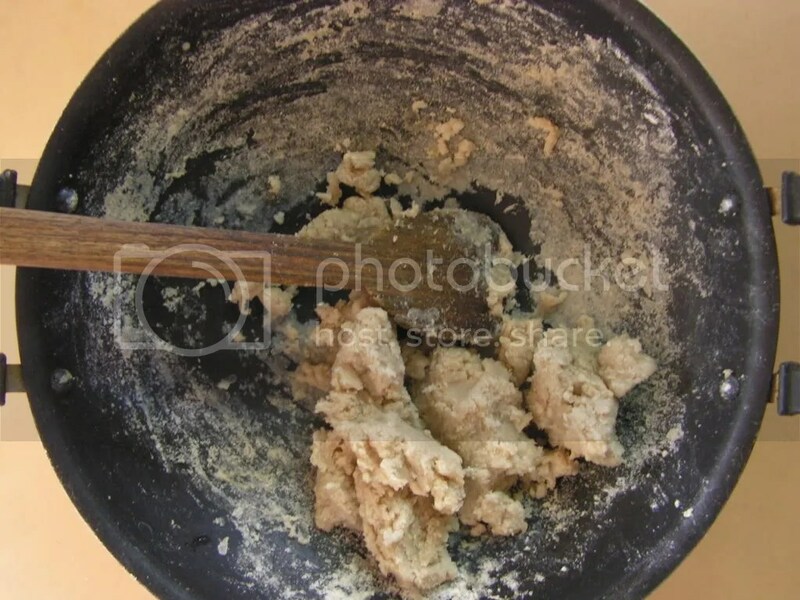 Mix as it turns to the consistency of chapathi dough as shown in the image below. 5. Close it with a lid and leave it for a while so that the vapor falls on the dough to soften it just a bit. 6. Again flip the dough and leave it for another minute on low flame so that it will cook on the lower side of the dough. Swith off the flame and leave it with the lid closed for around 2-3 minutes. 7. Pinch out 3″ ball from the dough knead well and roll it on a thick plastic sheet dusting with dry jwari flour to required thickness. 8. Place tawa and when heated place rolled rotti on it. When done on the top just flip and dry roast on the other side. Again repeat and now it will swell and you get layers to the roti if there are no holes while rolling it. Enjoy with jhunka or whatever side dish like Garlic dry chutney powder and onion rings. Always enjoy it hot only – cooled rotis are pretty much tasteless. – Make sure to see that the the bowl which you place to cook the the atta is free from oil – roti tends to break/crack in the presence of oil. 2 Teaspoons of wheat atta is mixed to get the bounding for atta to roll rottis easily. It is out of experience i realised it and have put it up. 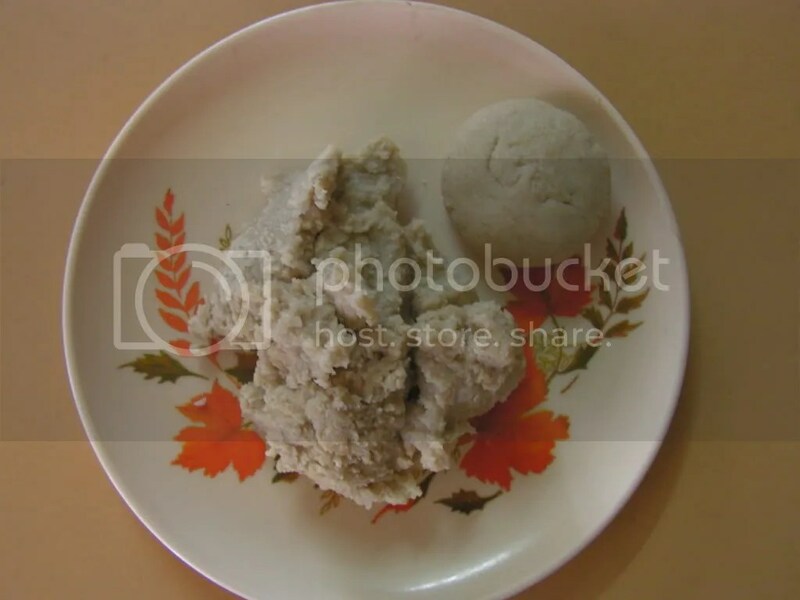 One can even use Rice atta in same quantity instead of wheat atta if it is fine in consistency. – Always roll it immediately and do not keep the left over dough in the refregerator – You can not roll it later. 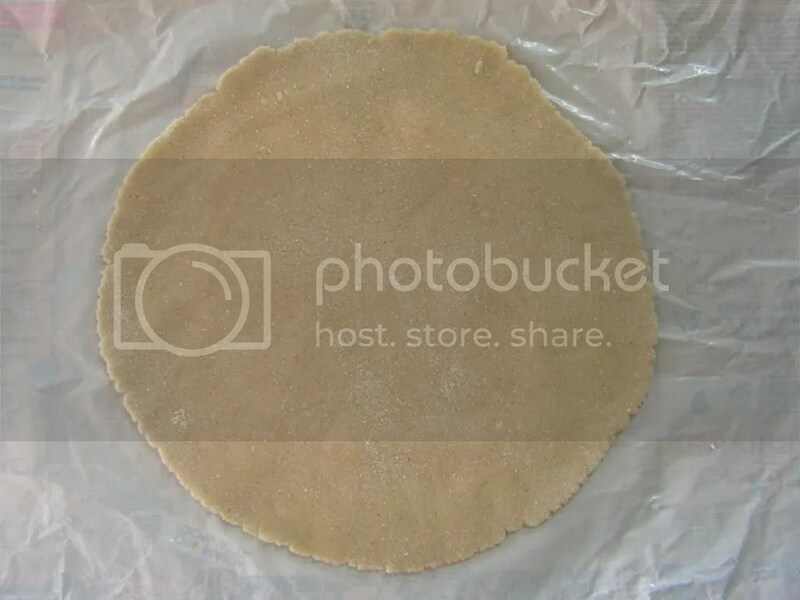 -One important thing to keep in mind is that, every time you pinch out a part of the dough to make/roll roti please make sure to keep the dough closed with the lid, else it will dry up and difficult to roll the remaining dough. 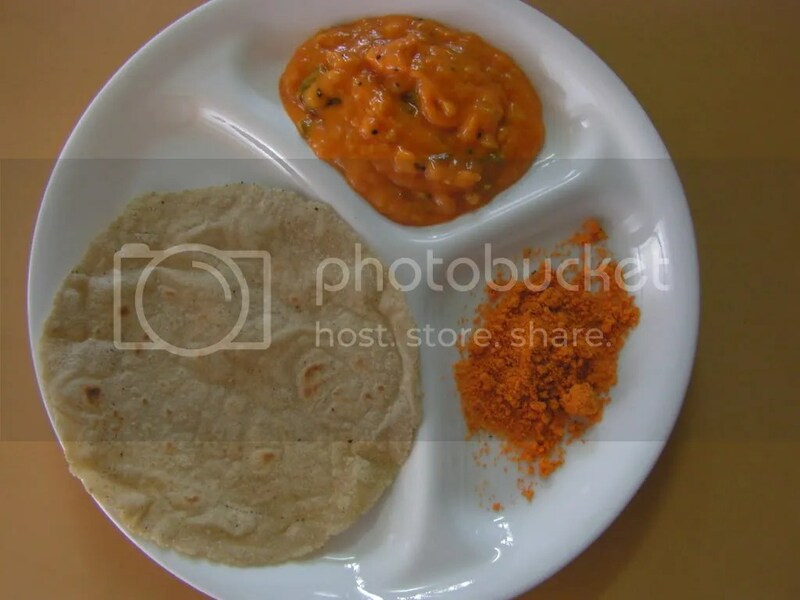 This entry was posted in Uncategorized and tagged 30 minutes, Breakfast, Jwari/Sorgham dishes, Parathas and Rotis, Tiffin. Hates of to you.. I tried this recipe and husband loved it.Roti turned real good and no hassle while making it. Thanx 4 ur comments. Enjoy with jhunka which i have put up on this blog. Please c the recipe index. You can try out Jwari roti and regarding others i will try out and let you know at the earliest. Thanx a lot for ur feed back.